deals for the first time in more than 40 years. The UK is already engaging in informal trade talks with countries including Donald Trump’s USA. 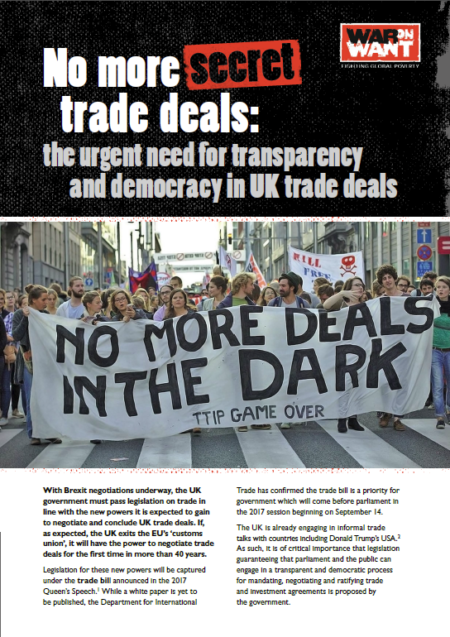 As such, it is of critical importance that legislation guaranteeing that parliament and the public can engage in a transparent and democratic process for mandating, negotiating and ratifying trade and investment agreements is proposed by the government.